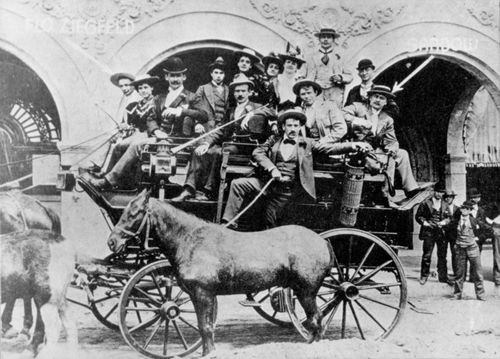 Eugene Sandow, with fellow performers circa 1893. Once called Freezeout, Texas by mule-driving freighters who passed through the area from the coast, it seemed to cater to them with an abundance of saloons and a racetrack. The community was granted a post office in 1873 and the name submitted was that of solid citzen Emil Miller. Miller had donated a lot for the town�s first school and in his honor, the community was called Millerton. The post office closed, reopened and finally closed for good in 1891. Mail for the town came through Rockdale. In 1918 a six-mile spur was run from the International Great Morthern mainline to the lignite mine owned by the Federal Fuel Company. Bankruptcy left the siding unfinished. McAlester Fuel Company bought out Federal Fuel�s holdings in 1922. Since they �owned� the town, the executives felt that a renaming was in order. Times being what they were, the company chose the name of a Prussian-born strongman that was being promoted in New York by Florenz Ziegfeld (later famous for the Ziegfeld Follies). 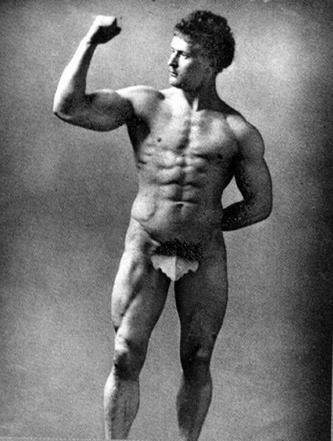 The namesake, Eugene Sandow, was considered to be the father of body-builders. The abandoned railroad line was completed and the Rockdale, Sandow and Southern Railroad was doing business by 1923. Lignite from the mine supplied the University of Texas and Texas A&M University, as well as other electric-power producers. Natural gas, was cheaper than coal and in time the mine closed. After WWII a process was invented for carbonizing lignite and the Aluminum Company of America (Alcoa) built a plant. The town evolved into a plant, but did not survive as a town. Most Alcoa employees live in nearby Rockdale and today the plant is ringed by a large fence that stretches for miles. A huge shovel can sometimes be seen mining the lignite from a huge open pit.